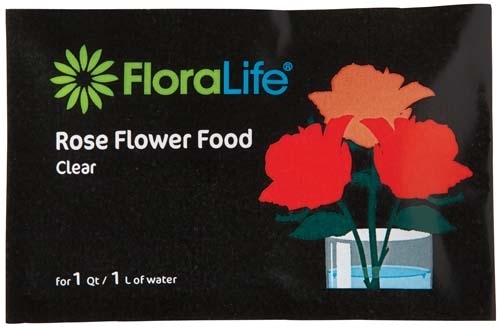 Unique ingredients enhance rose performance with an increased vase life of 2 - 4 days (20+ %) more than standard flower food formulas. Brilliant flower color, making the petals showy and vivid. Extremely clear vase solution adds to the outward show of a rose’s glamorous, velvety flower. 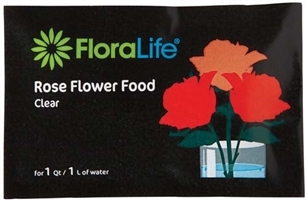 Suitable for use in mixed or straight line bouquets containing roses and foliage greens.